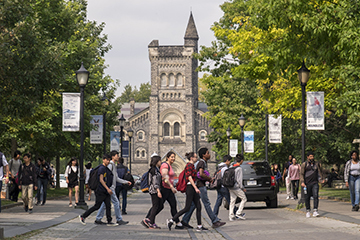 The University of Toronto is going smoke-free starting on January 1, 2019. A new Smoke-Free Policy was approved at Governing Council on December 13, 2018. This policy reflects our commitment to provide a safe and healthy environment for everyone in the U of T community. The previous policy was last updated in 1995, and the new policy now addresses recent changes by the Government of Ontario that allow the smoking of cannabis in public spaces, which may increase the risk of exposure to second-hand smoke. The health impacts of smoking and second-hand smoke are well documented. Smoking is linked to 37,000 deaths each year in Canada. According to Health Canada statistics, 800 non-smokers die each year from lung cancer and heart disease through exposure to second-hand smoke. The new policy applies to smoking or holding lighted tobacco or cannabis, and the use of e-cigarettes or other vaping devices. The smoking ban makes exceptions for Indigenous ceremonial activities and medical accommodation. 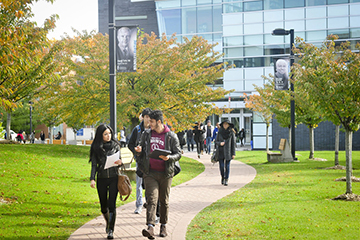 UTM and UTSC have implemented designated smoking areas during a transition period. For more information on the Smoke-Free Policy, read our FAQs. Staff and faculty have access to Green Shield's smoking-cessation program, which includes some drug coverage and pharmacist counselling, as well as an e-course available through the university’s Employee and Family Assistance Program. 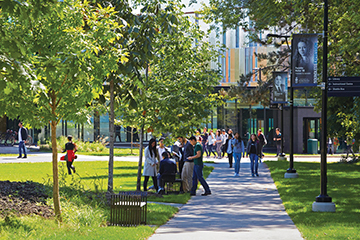 For students, smoking-cessation programs are available through the Health and Wellness Centres at the St. George campus and U of T Scarborough, and the Health and Counselling Centre at U of T Mississauga. Read the latest Provost’s memo about the Smoke-Free Policy.